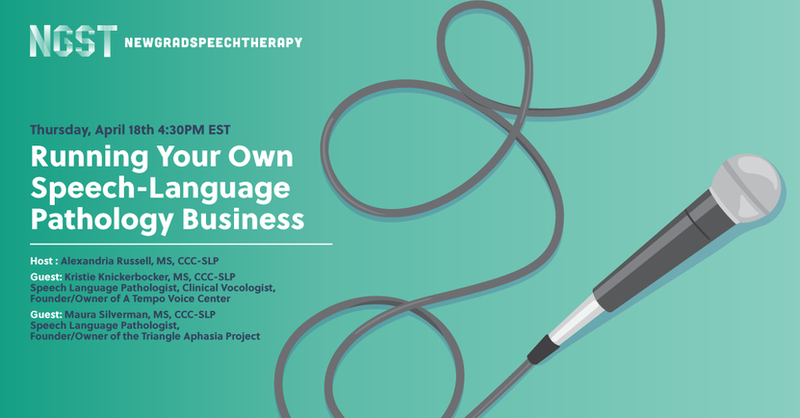 Running Your Own Speech-Language Pathology Business: YouTube Live! Watch the YouTube Live with SLPs Kristie Knickerbocker and Maura Silverman! On Thursday, April 18th, we sat down with two clinical speech pathologists to hear all about the ins and outs of running your own speech pathology business! We covered the rocky road of starting your own business, the challenges faced as a clinician and business owner, and advice for young SLPs looking to work in specialty practices or open their own businesses. What challenges do you face as a clinician and business owner? Is there a definitive line or do the roles blur? What advice would you give to SLPs wanting to start their own business? What advice do you have for voice therapy? What therapy recommendations do you have for stroke patients? Maura English Silverman, MS, CCC/SLP is the Founder and Executive Director of the Triangle Aphasia Project, Unlimited. Maura is passionate about helping individuals find their potential in communicative access and is committed to the Life Participation Approach to Aphasia. She is a Founding member of AphasiaAccess and the recipient of the inaugural Innovator Award. Maura has published and served within serves on Aphasia Hope's Professional Panel and is committed to the Life Participation Approach to Aphasia. She has 30 years of experience in the field.